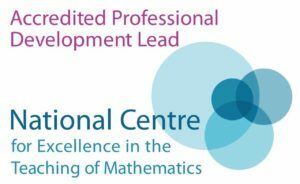 Topics covered will include fractions, percentages, probability, area and perimeter, angles, capacity, time, co-ordinates, symmetry and rotation as well as a variety of number work. We will cover a range of fiction and non-fiction texts including visual literacy using ‘The Piano’, play scripts, drama and explanation texts based on our science topic on plants. The unit of work begins with Living Things. The children will learn about the life cycles of mammals, amphibians, birds, insects and plants. We will also be keeping a live butterfly hatching kit in Year 5 to support our work on life cycles. A trip to the Botanical Gardens has been arranged and details will be sent out shortly. After half term our Science focus will move on to puberty and pregnancy gestation of other animals compared to humans. The focus this term will be learning about Sutton Coldfield. The study will encompass both human and physical features, the distribution of resources, land use as well as shops and services. We will be studying Maya history and culture. Football, cricket, rounders, athletics and gymnastics. Homework continues to be given in both literacy and maths and displayed on the website on a weekly basis. On a Wednesday afternoon, while the Y5 staff use time for planning, preparation and assessment, the children will enjoy one hour of French and one hour of Art. There is also the possibility of booking a visit to St James Church to support our work on Christianity this term. Many thanks for your continued support throughout this year, please feel free to come and see us at any time should a problem arise.